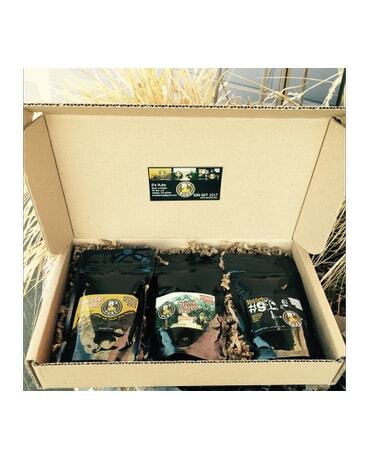 A gift box containing 4 of B's Rubs artisan spice blends. A perfect gift for a master griller or someone who would love to serve up a great meal! B's Rubs is a small family owned business located in our town, Othello, Washington. The spices are smoked batch by batch! Low in sodium, gluten free and no MSG.